The U.S. healthcare tab topped $3.03 trillion in 2014, up 5.3% from 2013, according to figures from the Office of the Actuary, an independent arm of the CMS. The data, published Wednesday in Health Affairs, differ only slightly from the projections released this past July. The amount spent on each person averaged $9,523 last year, an increase of 4.5% year over year. Healthcare represented 17.5% of the nation's gross domestic product in 2014, up from 17.3% in 2013. Now the tide is slowly turning, although actuaries and experts don't expect health expenditures will return to the days of double-digit yearly growth. In addition to more people having health insurance—along with the costs, subsidies and administration associated with that—the CMS said high-priced prescription drugs fueled the uptick in spending. Sovaldi and Harvoni, the blockbuster hepatitis C drugs made by Gilead Sciences, were named as two of the culprits. Their retail prices are $84,000 and $95,000, respectively, for a normal 12-week course of treatment. However, employers, insurers and pharmacy benefit managers have haggled with Gilead to cut those prices by half in some cases. Prescription drugs only account for 10% of healthcare expenses, but spending on them increased 12.2% in 2014. The prices of drugs like Harvoni are expected to go down the longer they are on the market, but many other new classes of costly drugs could keep spending high. A vast majority of Americans believe drug prices are unreasonable high, according to a Kaiser Family Foundation survey. “I think the drug spending bump is most concerning because there could be a lot more specialty drugs in the pipeline that will bump spending even more in the future,” Ginsburg said. 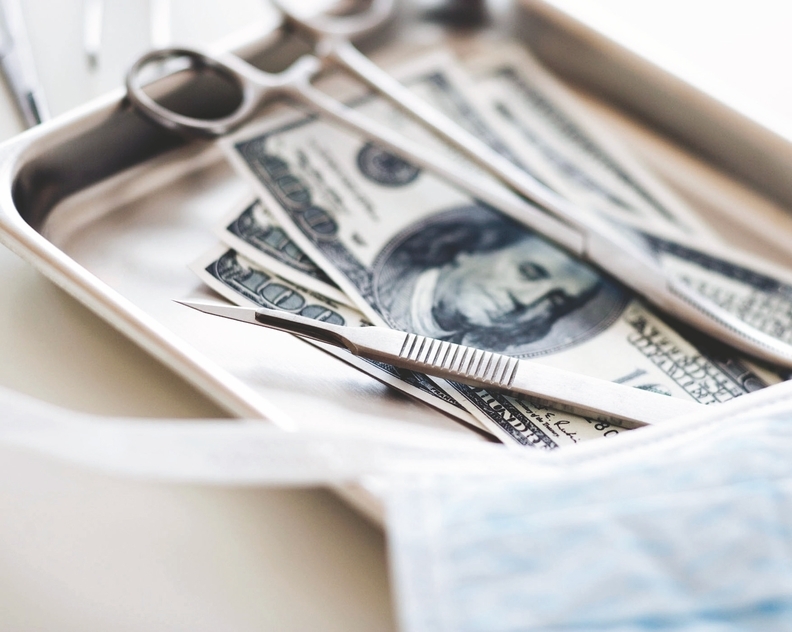 What remains murky from the actuaries' report is whether hospitals, doctors and others in the healthcare delivery system have been removing enough wasteful processes to help control costs. There's also skepticism that providers are shifting quickly away from the fee-for-service system, although some economists are optimistic value-based payments can lower the nation's healthcare expenses. The federal government has vowed to shift half of Medicare spending to alternative payment models by 2018. Ginsburg said it will still be several years before health policy experts have a good idea of how well those payment experiments are working. “How the health sector responds to the evolving access and incentive landscape, as well as underlying economic conditions, will determine the future trajectory of health spending growth,” the actuaries wrote. Since the ACA's first enrollment in October 2013, more than 23 million people have gained coverage through the exchanges or Medicaid. Not surprisingly, the amount spent on Medicaid increased heavily in 2014 as 26 states expanded eligibility to adults earning up to 138% of the federal poverty level. Medicaid expenditures rose 11% last year, most of which occurred on the federal side. As of this year, 31 states and the District of Columbia have expanded Medicaid. Spending on Medicare climbed 5.5% in 2014, totaling $619 billion, meaning for every $5 the U.S. spent on healthcare, $1 came from Medicare. That was higher than the aggregate 3% growth rate in 2013, CMS actuaries said. It calls into question whether the early Medicare pilot projects and programs, such as accountable care organizations, bundled payments and readmissions penalties, will reach their desired outcomes of better quality and lower costs. The amount people spent out of their own pockets at the point of service, including copays and deductibles, grew only 1.3% in 2014. The CMS attributed the low growth rate to more people gaining health insurance and therefore not being saddled with the full out-of-pocket cost. But that could be breeding the problem of underinsurance. More employers and individual policies are shifting more of the costs onto consumers, and many economists and analysts have said people are avoiding the high out-of-pocket payments by skipping care or not refilling drugs. Looking ahead to this year, healthcare spending growth appears to be rising at an even faster clip. Expenditures grew by more than 6% in each of the first two quarters this year and by 5.8% in the beginning of the third quarter, according to data analyzed by the Altarum Institute Center for Sustainable Health Spending. Hiring in the industry has fueled some of that growth. Healthcare added 407,000 jobs in the first 10 months of 2015—almost equal to the 410,000 jobs the industry added in 2013 and 2014 combined.